Apple has released the first update for iOS 6, bringing the new mobile operating system up to version 6.0.1. But the most controversial feature of iOS 6 - Apple's new Maps app - remains unchanged. Instead, Apple focused on bug fixes for iOS 6.0.1, addressing issues with the iPhone 5's Wi-Fi connectivity and its ability to receive over-the-air (OTA) updates, among others. 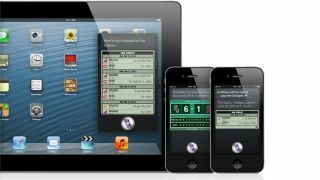 Besides the OTA and Wi-Fi bugs, iOS 6.0.1 addresses problems with the virtual keyboard, camera flash, lock screen, Exchange meetings, and cellular data connectivity. In addition, the update "consolidated the Use Cellular Data switch for iTunes Match," whatever that means. Due to the iPhone 5's issues with OTA updates, users looking up upgrade to iOS 6.0.1 will have to download an updater app or (gasp!) connect their devices to iTunes. Two hundred million Apple customers have upgraded their devices to iOS 6, despite many users' complaints regarding the Apple Maps app. Apple Maps has been proven inaccurate and lacking in details, and the update was labeled a "maptastrophe" in September. Sources at the time said that Apple was hiring former Google employees specifically to fix the iOS 6 maps problems, but there's been no official word of a solution. More recently, Apple announced that Scott Forstall, the senior vice president of iOS, will leave Apple in 2013. The Wall Street Journal reported on Monday that Forstall was asked to depart after refusing to sign a letter apologizing for the problems with Apple's iOS 6 Maps, a letter that eventually appeared with Apple CEO Tim Cook's signature instead.